M110: The last Messier object, and the more distant of the Andromeda Galaxy’s two companions. M110 is a tiny elliptical galaxy, about 17,000 lightyears across, containing 9 billion solar masses. M32 is a small, but bright companion galaxy to M31. It orbits M31 much like the Moon orbits the Earth. It lies at the same distance as M31 but is much smaller (6,500 light-years across). M46 is an open star cluster containing over 500 stars. It lies at a distance of 5,400 light-years, and is about 30 light-years across. A small, faint, grey disc that seems to be superimposed over the cluster is actually the remnant of a dead star—a planetary nebula known as NGC 2438. NGC 2438 only coincidentally lies along the same line of sight as M46. The cluster and planetary nebula are unrelated; the planetary nebula is about 2,500 light-years closer to the Earth. NGC 2438 is the glowing bubble of gas that was cast off by a single star that has died. At a distance of 2,900 light years away it is a foreground object superimposed upon the sparkling star cluster M46. 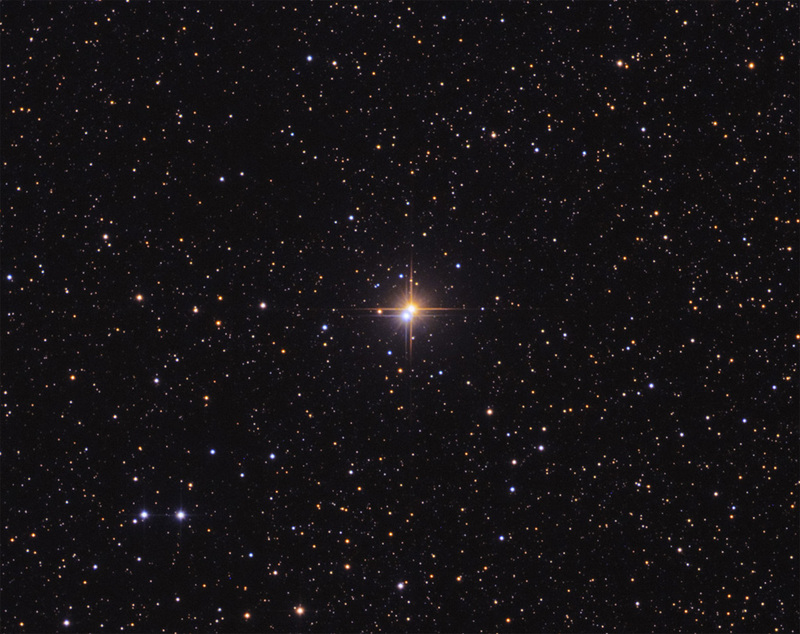 Two stars in Canis Major bear a striking resemblance to a pair of stars in Cygnus known as Albireo. Visible in the Northern Hemisphere summer, Albireo is a pair of stars that have very different surface temperatures, and therefore, noticably different colors. The same is try of the golden star 145 Canis Majoris, and it’s fainter, blue neighbor.